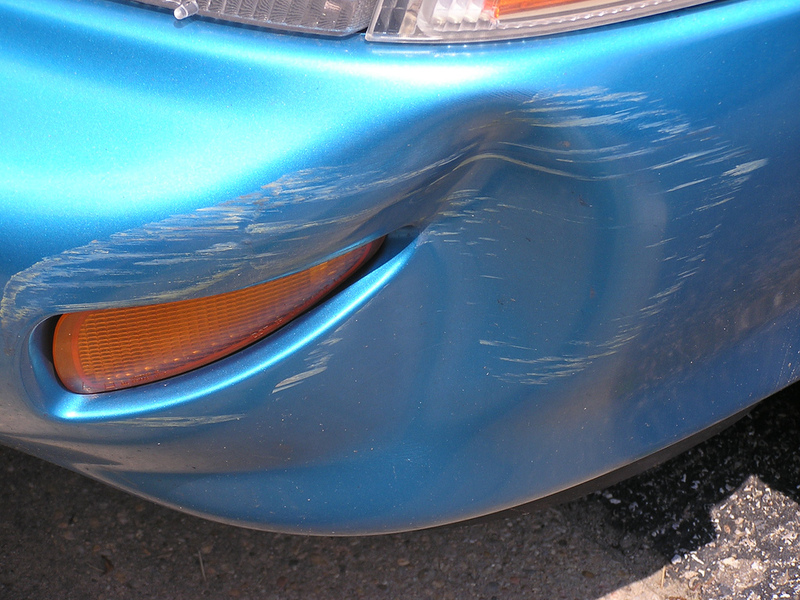 | Posts with tag "car dent repair specialist"
Getting dents on your car can be discouraging, but especially hail dents. Lots of little dents from hail damage can cause an unpleasant dimpled appearance on the surface of your hood, roof, and trunk. Fortunately, hail dents can be easily popped back out again or repaired by a car dent repair specialist. Here are a few tips for removing hail damage from your car. For the DIYer, there are a few approaches you can use to try to remove the hail damage yourself. Sometimes a rapid change from hot to cold can cause the metal to pop back into shape again, removing the dent. Most of the DIY suggestions for removing hail dents use this approach. The first step of the DIY hail dent removal process is to heat the metal where the dent is. Park your car in the sun. Probably the easiest way to try to get the dents out (and the least likely way to harm your car) is simply to park it in the sun on a hot day. This will heat the metal and may pop most of the smaller dents out. Heat the metal with a hair dryer. A hair dryer can also be used to heat the metal. Keep the hair dryer a few inches from the surface of the car, and keep an eye out for paint discoloration, but most household hair dryers shouldn’t actually get hot enough to damage your paint. Heat the metal with a lighter. Another method of heating the metal is to tape aluminum foil over the dent and heat the foil with a lighter. The heat will transfer from the foil to the metal of your car, hopefully without damaging the paint. However this approach should be used with caution — the lighter will get hotter than the hair dryer, and because you can’t see the area while the aluminum foil is taped over it, you won’t be able to see any damage to your paint until it is too late. Next, apply something cold to the area. The quick change in temperature should cause the dent to pop out within a few minutes. Lay a cold, wet cloth over the dent. Get a washcloth wet in cold water and lay it over the dent for several minutes. Spray compressed air over the dent. You know how cold those cans of air for cleaning your keyboard get while you’re using them? That quick blast of cold air on your dent may be just what it needs to pop out cleanly. Apply dry ice to the dent. While wearing gloves to protect your hands, of course, put dry ice on the dent for several minutes, and it should pop out on its own. The key to all of these methods of applying hot and cold is to err on the side of caution. It is better to have to resort to an car dent repair professional’s skill than to accidentally do even more damage to your car. If the dents are too big, or if you try the DIY approach first and can’t remove the hail damage on your own, you will need to have an car dent repair service remove the dents. Professional paintless dent repair services use special metal tools to massage the dent out from the reverse side. A skillful repair technician should be able to make it so that you’ll never notice the dent was ever there, let alone that the metal has been coaxed back into its original shape. Hail damage doesn’t have to be a lasting blemish to your car’s beauty! ColorMate Auto Appearance Specialists provides same day car dent repair services including paint and bumper repair, headlight restoration, rim repair, paint perfecting and car interior repairs in Miami-Dade, Broward, and West Palm Beach County. Schedule an appointment for a free estimate on quality car interior and cosmetic repairs.